Many of us remember the time when Pluto was the ninth planet in our solar system. Pneumonics were the only way for us to remember the order of the planets. Now, none of those will work. Many will recall that in 2006, Pluto was demoted to what we call a dwarf planet and was recognized as the first object found in the Kuiper Belt. But what were the events that started this little drama? In the 1940s and 50s, Kenneth Edgeworth and Gerard Kuiper both predicted (independently of one another) the existence of a belt consisting of icy rocks and comets that have 200+ year orbital periods and cross-planetary paths. This belt was hypothetical until 1992, when the “1st” Kuiper Belt Object (KBO) was discovered by Jane Luu and David Jewitt and given the designation 1992 QB1. As of 2004, over 800 objects had been found in the Edgeworth-Kuiper Belt, or Kuiper Belt. It is theorized that the Belt could contain as many as 100,000 objects with a width of 30 miles or more. In the belt, we have several classifications for what resides there. Resonant KBO’s have a relation to their orbital period and Neptune. 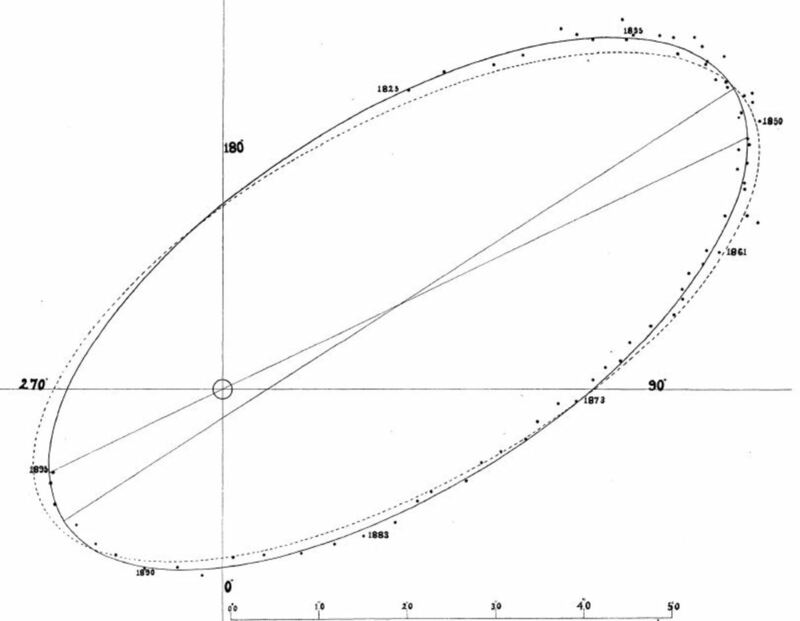 Pluto, for example, completes 2 orbits for every 3 that Neptune does, hence a 2:3 resonance. About 20% of all KBO’s share this particular resonance and are called plutinos. Other resonances exist. Scattered KBO’s have eccentric, tilted orbits with the closest approach to the sun at 3.3 billion miles and furthest distance from it at almost 100 billion miles. More classifications exist, but it is important to note that resonant KBO’s can have properties that are similar to Pluto such as the highly eccentric orbit, hence why we call them plutinos. This slightly diminishes the prestige that Pluto had at the time because not being too different from your neighborhood diminishes your importance in the astronomical world, but as we will see the word about something being amiss with Pluto started way before the demotion (Svital 44, Stern 24-7, Tyson "The" 54-5). Scientists knew as the 1990s rolled along that the parameters of Pluto's planet status were becoming fuzzy. The Voyager probes showed moons with surface features and activities like what we see here at home. The Galileo probe found that asteroid Ida has a moon named Dactyl. To top this off, the grouping of the planets was always sketchy, with the terrestrial planets, the gas giant planets, and then... Pluto, all by itself. Heck, even Kuiper himself felt Pluto should have been demoted, all the way back in a February 20, 1956 article in Time (Tyson "The" 50-1, 59). It was with these things in mind that everyone's favorite public-relations astrophysicist Niel deGrasse Tyson decided to see if the then-new $230 million Rose Center for Earth and Space could address. He needed to have a museum built that could be easily updated with the latest science and yet not gloss over too many details. After mulling over this and reading "When is a Planet Not a Planet?" by David H. Friedman in the February 1998 Atlantic Monthly, Niel wrote an article entitled, "Plutos Honor" for the February 1999 issue of National History. He went in depth about the similarities that seem to be arising between Pluto and Ceres (more on this later) and so recommends that Pluto be reclassified as a KBO. He did not plan to include this in the exhibit, however, because of a lack of scientific consensus on the matter and for that matter because Neil's field of expertise was stars, not planets (61, 64-5). With such a lack of agreement, Tyson arranged for a panel to debate the situation. With over 800 people gathered at the American Museum of National History, the 90 minute debate occurred on May 24, 1999 and was entitled, "Pluto's Last Stand: A Panel of Experts Discuss and Debate Classification of the Solar System's Smallest Planet." Amongst the scientists who were present as debaters were Michal Hearn (the then-President of the International Astronomical Society 's Planetary Sciences Division), David H. Levy (a Clyde Tombaugh expert), Jane Luu, Brian Marsden (a comet expert), and Alan Stern (a scientist at Southwest Research and Principal Scientist for New Horizons). Many big selling points were pointed out during the meeting in the for-Pluto camp including the roundness criteria along with examining the origins of the object as opposed to using an arbitrary label for the object. Also pointed out in defense of the counter group was the low density value versus the arbitrary use of labeling for sentimental reasons. Some even suggested using dual labeling for Pluto and her sisters since she has planet-like and KBO-like features. At the end of the debate, Tyson had audience indicate their viewpoint, with a majority in favor of retaining planethood for Pluto (69-75). This debate gave Tyson an idea for the layout of his new Rose Center. Rather than worry about labeling, just state the facts: Pluto is in the Kuiper Belt and resides there. No mention of it being a planet or not removes being overly judgmental, in his eyes. Besides, the planetarium has other non traditional groupings such as magnetic objects so why not try something new? 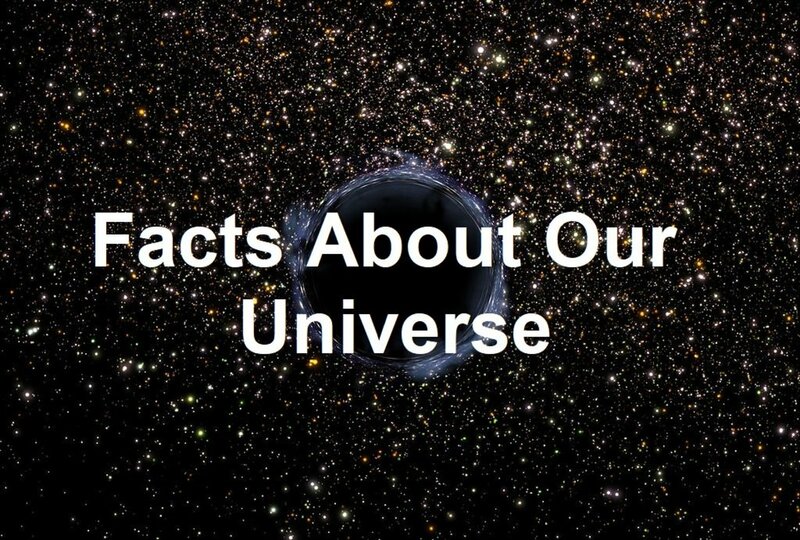 To top it off, the Center has a Scale of the Universe which shows planets but...no Pluto. That is because it isn't in that region but in the Kuiper Belt, Tyson argued. Upon the Center's opening on February 19, 2000, no one questioned the move. It wouldn't be until a reporter at the Center overhears a child inquiring about the location of Pluto in the Scales that a major article was written about it (76-78, 80). That story would see light as, "Pluto's Not a Planet?" on January 22, 2001 in The New York Times. Written by Kenneth Chang, it interviews people and gets some emotional reasoning for Pluto being a planet. The author points out during the article that the Center doesn't say either way if Pluto is a planet or not, but that didn't stop Richard Binzel (MIT) from saying, "They (The Rose Center) went too far in demoting Pluto, way beyond what the mainstream astronomers think." Alan Stern added to this, with, "They (The Rose Center) are a minority viewpoint...its absurd. The astronomical community has settled this issue. There is no issue." Cheng then follows up with some of the odd characteristics of Pluto and finally ends with Tyson's viewpoint about the museum not actually having a stance on the subject (81-3). As all of this debating was going on, astronomers were finding more KBOs that challenged the status of Pluto. 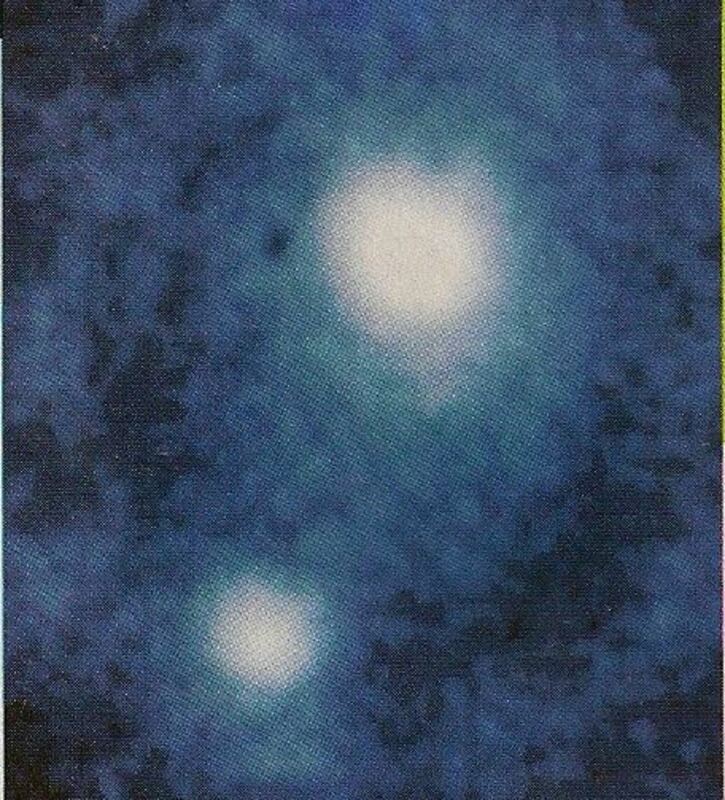 20000 Varina was found by Robert S. McCillan (University of Arizona) and measures in with a diameter of 900 kilometers. 28978 Ixion was founf by James L. Elliot and has a similar size to Varina. And 50000 Quaoar was found by Mike Brown, a planetary scientist at Caltech, and Chad Trujillo, clocks in at 1300 kilometers in diameter, and was announced to the world at an AAS meeting on October 7, 2002. Quaoar was at the time the largest finding in the outer solar system since Pluto. Some newspapers began to have second considerations about Pluto's status but for the most part, the war drums remained silent (89-90). 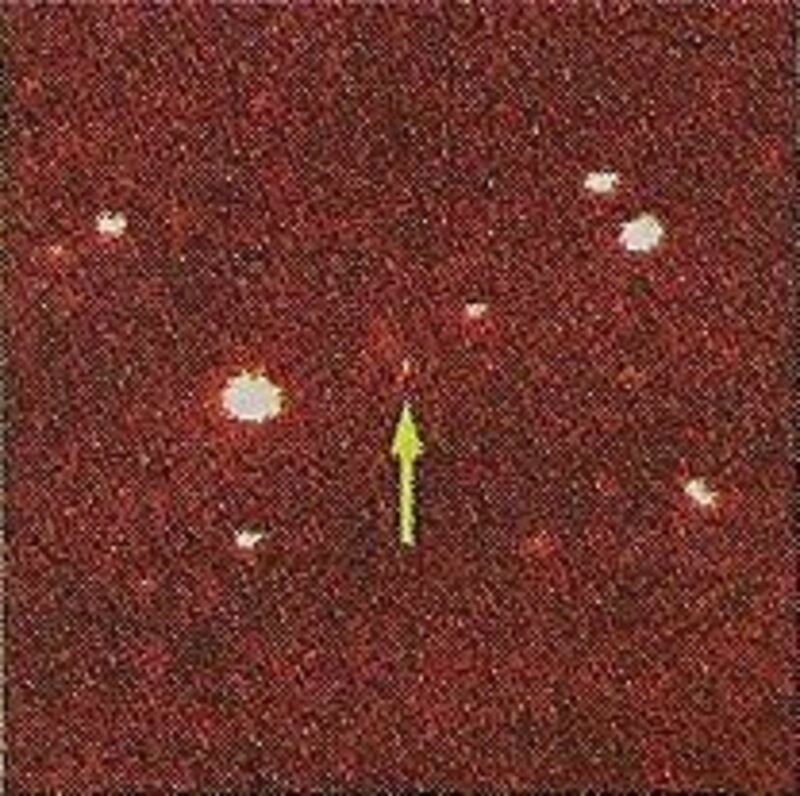 With all this hubbub about Pluto and new KBOs in the air, all that was needed now was a scientific spark to get the fire going.The first major object found that directly challenged the status of Pluto was 96377 Sedna, discovered with the Samuel Oschin Telescope by Mike Brown and his team on November 13, 2003. It may be 800-1,100 miles in diameter, has perihelion at 7 billion miles and aphelion at about 90 billion miles. It is unique because of its red surface, which is not too dark (indicating a rocky composition) nor too bright (indicating an icy composition). This fact in combination with a temperature of -400 degrees F, making it the coldest body in the solar system, certainly shows how it is unique among the KBO’s (Svital 43-5, Tyson "The" 91). 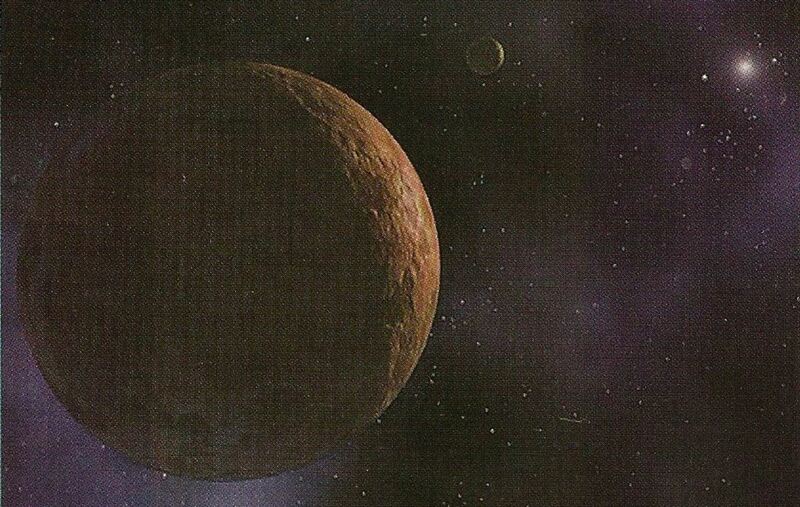 With Sedna’s unusual nature and size, people began to call it a planet. However, some people began to wonder if more objects like this existed in the belt. If they did, would that make Sedna special? And for that matter, does it make Pluto special? 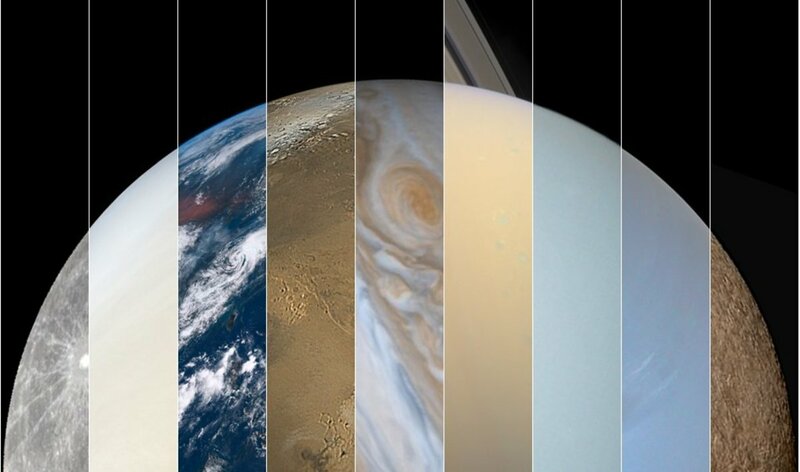 Would we have an ever-expanding number of planets in our solar system? Mike Brown, who co-discovered Sedna, makes his position clear in 2004: If Pluto had been discovered today, it would be considered a KBO and not a planet. Alan Stern felt in 2004 that anything that was round from its own gravity should be considered a planet, but Brown countered that, “It is a definition of convenience” (45). Alan to this day still contests the eventual demotion and felt once New Horizons arrived at Pluto and began to document it, the public would side with him (Preston 20). It is important to note that as all of this was developing in 2003-4, no formal definition of a planet was established by the IAU. That would not be until 2006. 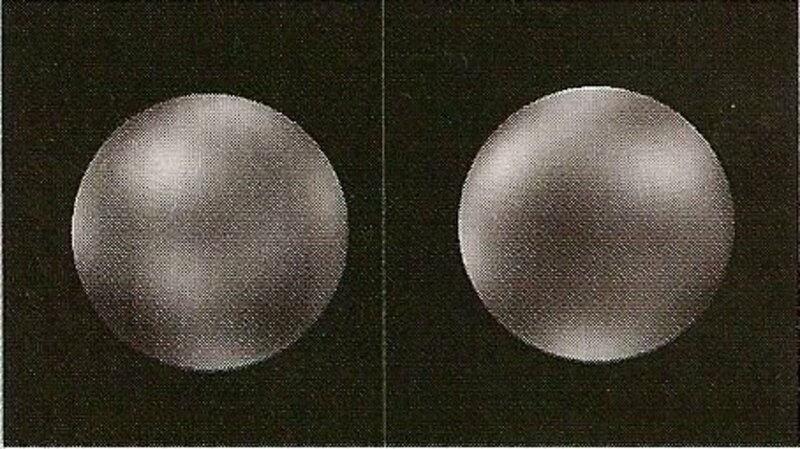 In fact, at the time of the debate, the IAU had no intentions of demoting Pluto (Svital 45)! That all changed when another special object was found. At the time of its discovery, 136199 Eris was known as Xena. It too was found by Mike Brown in July 2005 and in October of that year was found to have a moon, later named Dysnomia. It lies three times further out from the Sun than does Pluto (but closer than Sedna) and was initially found to be 1,700 miles wide (almost a quarter bigger than Pluto) but recent measurements from New Horizons as well as several transits in front of stars have shown Pluto to be bigger, with Eris now accepted to be 1445 +/- 7.5 miles (2326 +/- 12 kilometers). Eris has also been found to be 7% more massive than Pluto after earlier estimates from Brown had put it at 5% ± 4%, based on interactions between Eris and Dysnomia. Eris' mass is about 16.6 billion trillion kilograms (giving it a density of 157 pounds per cubic foot or 2.52 grams per cubic centimeter) and it orbits the Sun every 556.7 years. It also likely has a surface of ice, based on the 96% reflective scale found by Bimo Sicary (Paris Observatory) in an Oct. 27 issue of Nature (Morgan 58, Ornes 19, Andrews, Tyson "The" 92). It was the discovery of this object that got people really going. If this wasn't going to be a planet then why would Pluto be? But Eris was also not like the other planets so should the definition see revision? 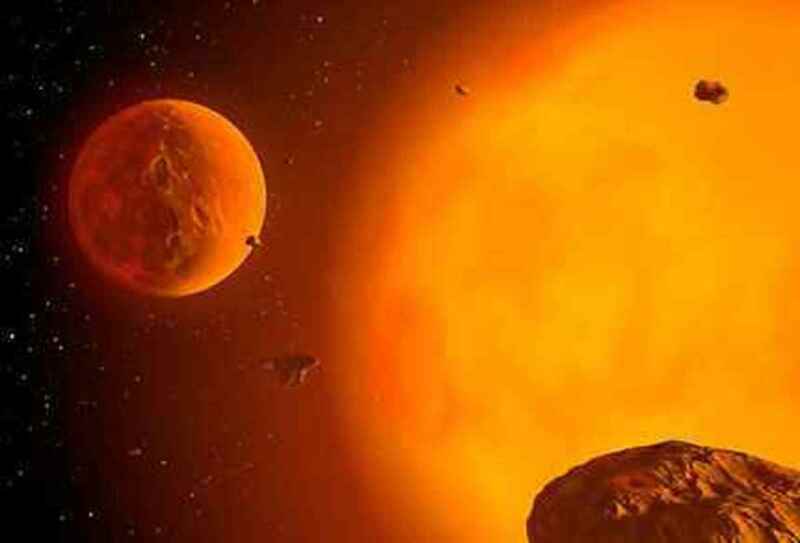 In the past, anything that orbited the sun was considered a planet. In 1801, Ceres was discovered and was considered a planet. As the years passed, more and more objects were found in its general vicinity and were considered planets until it was determined that they resided in a zone filled with similar objects. Those “planets” were then demoted and we call that zone the Asteroid Belt today. 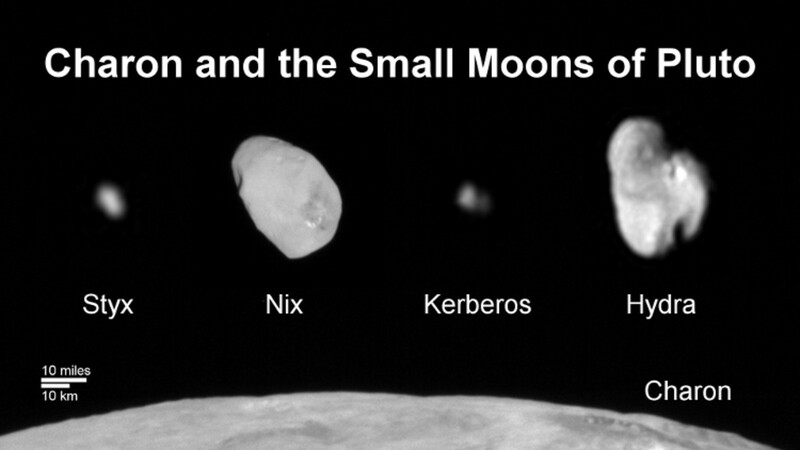 Brown felt in 2004 that a similar situation was developing in the Kuiper Belt. No distinction from the rest of the objects in the neighborhood means you belong to that class of objects (45). So we can now see that Sedna was not the ultimate source of controversy, for Eris and other KBOs were the full catalyst. It was the beginning of the road that led to Pluto’s demotion, which finally occurred in August of 2006. Out of the 2,412 scientists at the International Astronomical Union (IAU), only 424 participated in the vote of the definition of a planet. 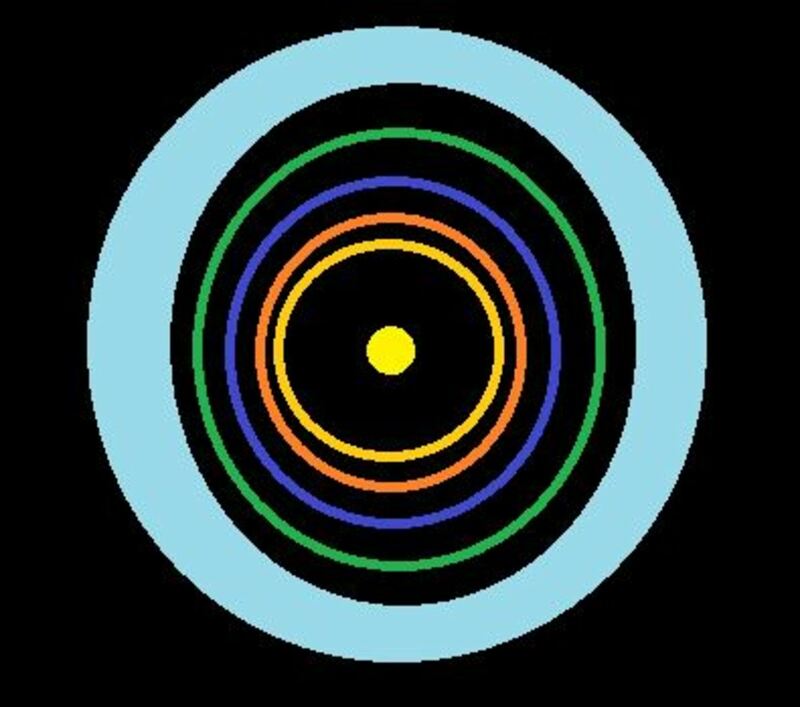 A few days earlier, the 7-member Planet Definition Committee decided a planet had to be round and orbit the Sun, but by the time the vote had come around another provision had been added: the object that is being classified has to be dominant mass in the orbital zone. Pluto and similar objects that meet the first two qualifications are called dwarf planets, though what that is was not clearly stated at that time (Tyson "A Death"). Whether the status of a planet will change in the years to come, we can only hope that the science behind the solar system remains intact, no matter what the type of object is we are studying. Knowledge only require labels to organize, not to limit to what should be investigated. So worry not, Pluto will still be relevant whether it is a planet, a dwarf, or a brand new title yet to be seen. Andrews, Bill. "Eris in the Spotlight." Astronomy Feb. 2012: 15. Print. Morgan, Richard. "Planet Xena Rocks the Solar System." Discover Jan. 2006: 58. Print. Ornes, Stephen. "Pluto's Pity Party." Discover Sept. 2007: 19. Print. Preston, Elizabeth. 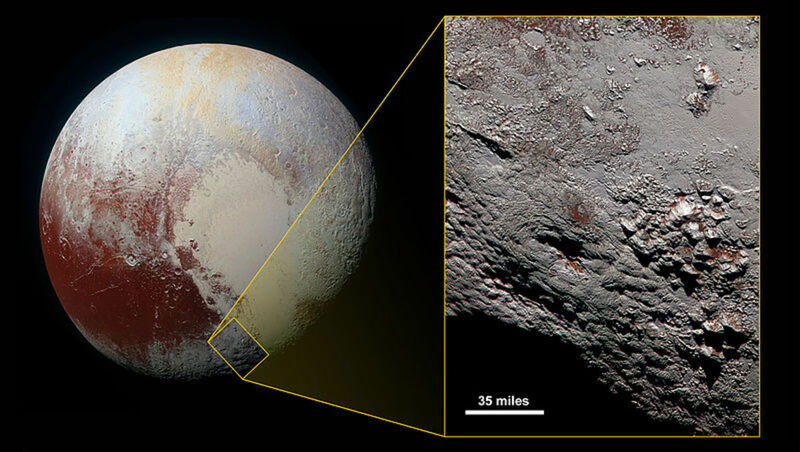 "New Views of Pluto." National Geographic Feb. 2013: 20. Print. Svital, Kathy A. "Beyond Pluto.” Discover Nov. 2004: 42-47. Print. Tyson, Niel deGrasse. "A Death in the Solar System." Discover Nov. 2006: 39-41. Print. ---. The Pluto Files. Norton & Company Press, New York. 2009: 50-1, 54-5, 61, 64-5, 69-78, 80-3, 89-92. Print. What Is the Nice Model, or How Did Our Solar System Form? Thanks Greensleeves for that awesome comment. I too agree that the definition will need some revising, although the IAU did get a few ideas right. But as you mention, some of the standards seem to be tied to how our solar system is arranged. Will it work on any of these extra solar systems we continue to discover? Does layering of an object determine it? As you were wondering, two objects that share the same orbital zome do exist already, in a matter of speaking. Pluto and Charon are so close in mass that the barycenter (the point where the objects orbit each other) is outside Pluto, so they revolve around this point as they orbit the Sun. How will that affect future findings? I hope you enjoy them! And thanks again for reading my article. I've always tended to side with Pluto being a planet because of its spherical shape and its primary orbit around the Sun. Any other criterion such as the origin of the body, and the dominance of its mass within its orbital zone, seems a little arbitrary to me. One wonders how these definitions will change in the future when more extrasolar objects are discovered, many of which are already known to be atypical by our Solar System's standards. 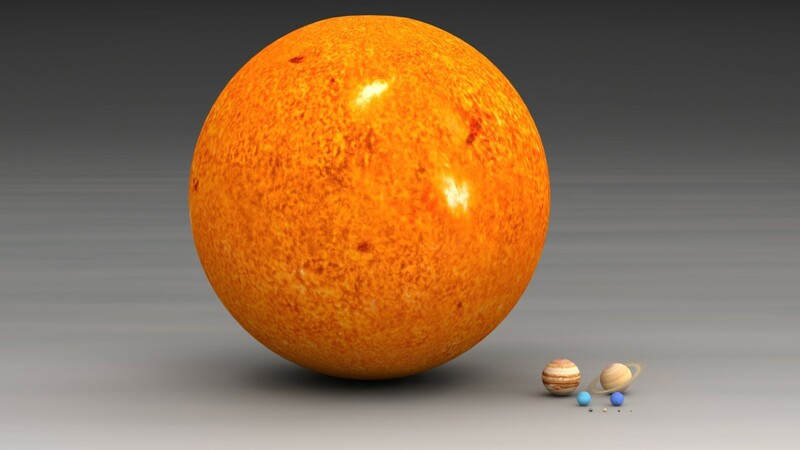 Suppose for example two similarly-sized but very large objects are found in the same orbital zone around a star. How would they be described? As planets, or as something else? Or is it thought that such a scenario would be impossible for gravitational reasons? Thanks Eric! I appreciate the kind words. Isn't it amazing that nearly ten years have gone by now since the demotion? Having followed these events from the periphery, and not being an astronomer, I found your article to be engaging, educational, and incredibly well-cited. What a great article! That is how it should be. Updating. Thanks! I thought Pluto would do 2 orbits for every 3 that Neptune does, and not the other way round. Thanks Reynold, I am glad you liked it.